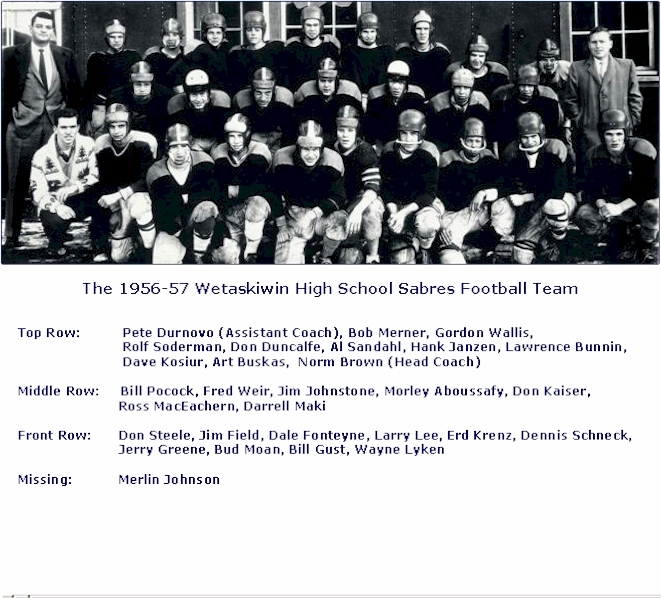 For five consecutive years, from 1954 to 1958, the Wetaskiwin High School Sabres Football teams were Central Alberta High School Football League champions. For each of those five years the Sabres teams were undefeated in league, play-off and exhibition games and amassed a record of 46 wins, 3 ties and 0 losses. In 1959, the Sabres went three more games before losing, pushing the record to 49 wins. For a number of years those statistics were also a North American football record. The 1956 team was considered the powerhouse of the five teams. In the six league games, the first play-off game and an exhibition game, the 1956 team was so dominant that no points were scored against them. Some players from the 1956 team went on to play Junior Football in Edmonton or Calgary; others played for the U of A Golden Bears; a few played on US college teams; one player played for the Edmonton Eskimos and another player coached in the NFL. Norm Brown was the coach of these successful Sabre Football Teams. It is no accident that the winning record was achieved after he became the head coach in 1953. His wisdom and coaching methods were “ahead of the times”. In 1954 Coach Brown introduced the split T football formation and in 1955 he added the double fullback, double halfback system, systems that were used at that time by the “Pop Ivy” coached Edmonton Eskimos. 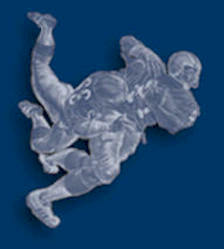 The assistant coach in 1956 was Pete Durnovo, a former Calgary Stampeder lineman. He coached the line on both offence and defense and brought added knowledge and expertise to the team. Coaches Brown and Durnovo were invited to appear on the TV program “Inside Football” to discuss the 1956 team and Wetaskiwin’s successful football program. Coach Brown’s philosophy was that team work was the road to success. He believed that football is a twelve man game and players are dependant on each other. There were stars on the 1956 team but they did not act as such. The team had a great balance with a mix of talented veterans and first year players, all playing a big part in the winning effort. Many players on the team played both offence and defense. The players enjoyed each other and even enjoyed practices. Comradeship was exceptional. The 1956 Sabres played in the northern conference of the Central Alberta High School League. 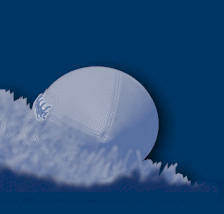 Other teams in the conference included Camrose High School, Camrose Lutheran College and Sedgewick. Besides annihilating those teams in league play, the Sabres played an exhibition game against St. John’s College from Edmonton and defeated them 20-0. League semi-finals were against Camrose High and the score was 27-0. In the League finals the opponents were the Lacombe Rams, winners of the southern conference of the Central Alberta High School League. In a closely fought, see-saw battle, two game total point series the Sabres were victorious defeating the Rams 45-34 winning, for the third straight year, the Buffalo Hotel Cup emblematic of the Central Alberta High School League Championship. In those days, there were no Provincial High School Play-offs. 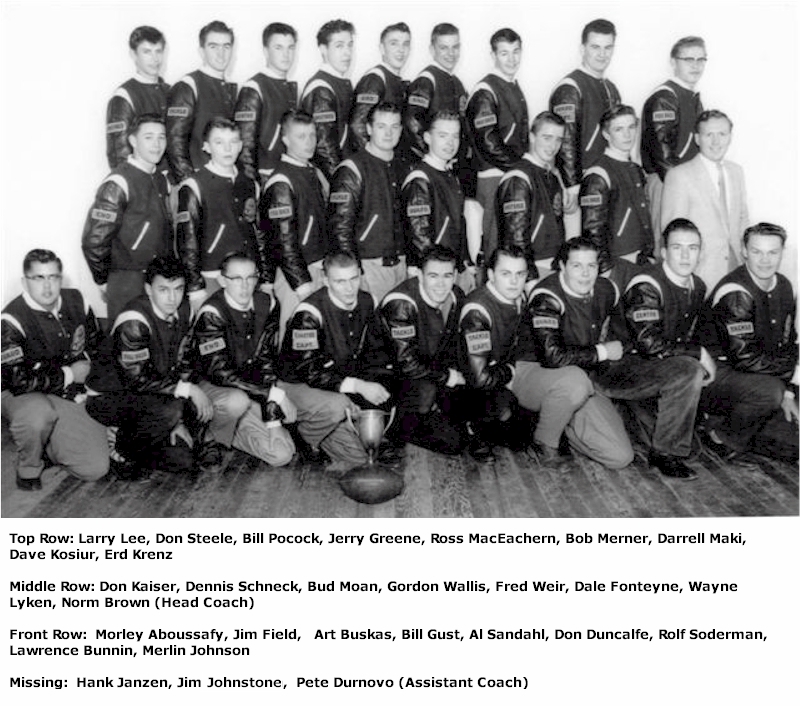 In total the 1956 team in six regular season games, one semi-final game, two final games and one exhibition game scored total of 404 points and had 34 points scored against them, an unbelievable record. In the 1950’s high school football was a favorite spectator sport in Wetaskiwin. The high school fans supported their team as did the community. Coverage in the local papers kept everyone informed of the teams successes. For away games, a cavalcade of cars travelled to Camrose, Sedgewick and Lacombe. Everyone was proud of the accomplishments of the Sabres and the team members were local heroes. The team is most deserving of being inducted into the Wetaskiwin and County Sports Hall of Fame. Read the opening comments made by Sandra Wright when speaking about this Sabres Team.